Anthony Robbins, vice president of North American public sector at NVIDIA, said contracting officials should find innovative ways to speed up the acquisition process in order to meet the demand for artificial intelligence, the Washington Business Journal reported Friday. 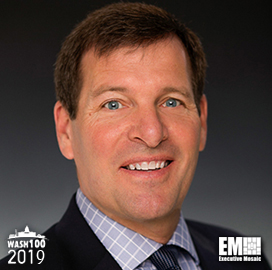 “Everyone of us in this room would be retired way before [reform] is done,” Robbins, a 2019 Wash100 winner, said Thursday at a Northern Virginia Technology Council event. Robbins joined Charles Onstott, chief technology officer at Science Applications International Corp.; Lt. Gen. John "Jack" Shanahan; Ingrid Solis, AIM champion at the Office of the Director of Intelligence; and Edward Dowgiallo, architect at the Department of Transportation’s office of the CIO; at NVTC’s Impact AI event.